Time for Part 3 of The Bean Bag Game! 1) A CD or Video game in one of those jewel cases. Remember those? The PS1 games all came in them! I swear, it’s super easy. Take your CD case, and trace eight rectangles on one color fabric, and eight rectangles on the other color fabric. 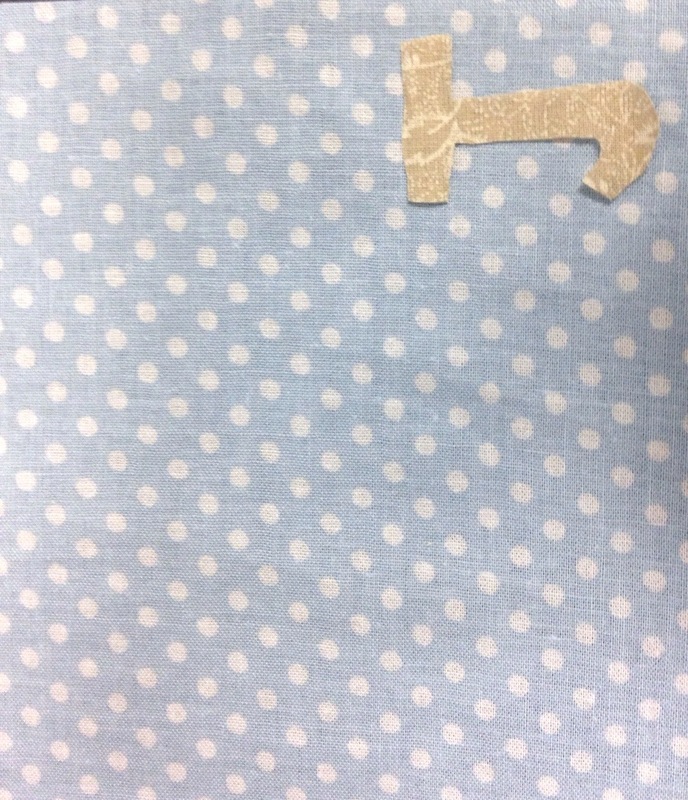 On your scrap fabric, trace your first initial and his first initial (backwards of course). Now that you’re all traced, cut out everything from the fabric. 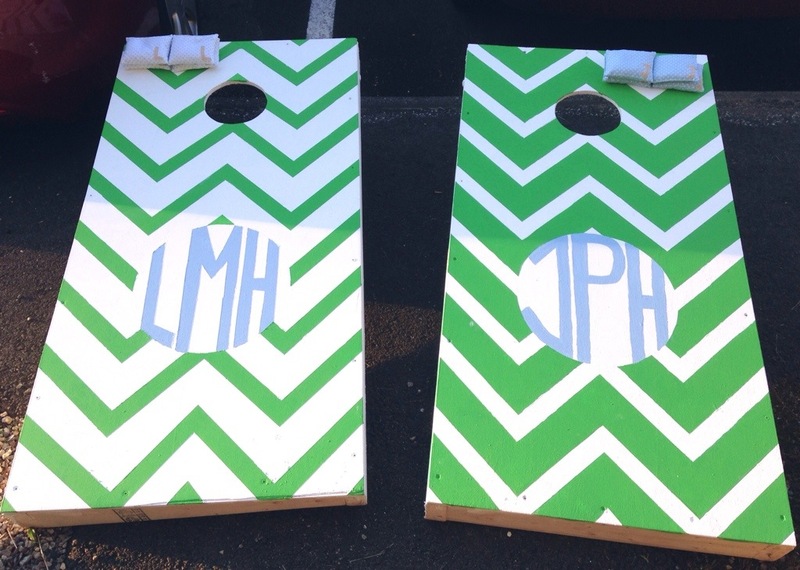 Decide which letter goes with what color bean bag and sew your letter to the outside of four of each color fabric. 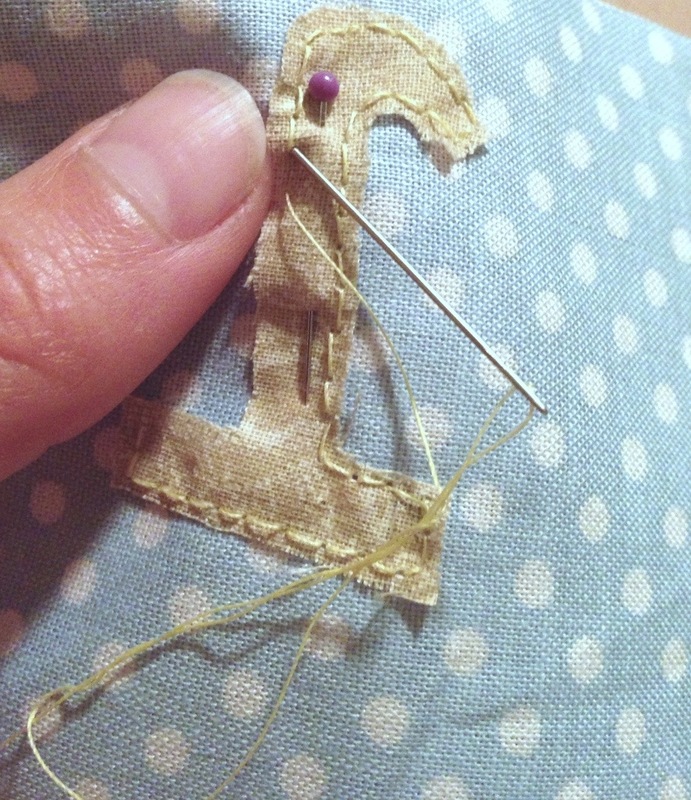 Stitch all around your letter, if you picked a contrasting color thread it will stand out and look really cute! Pair up your squares so you have four “bean bags” of two squares each for each color. 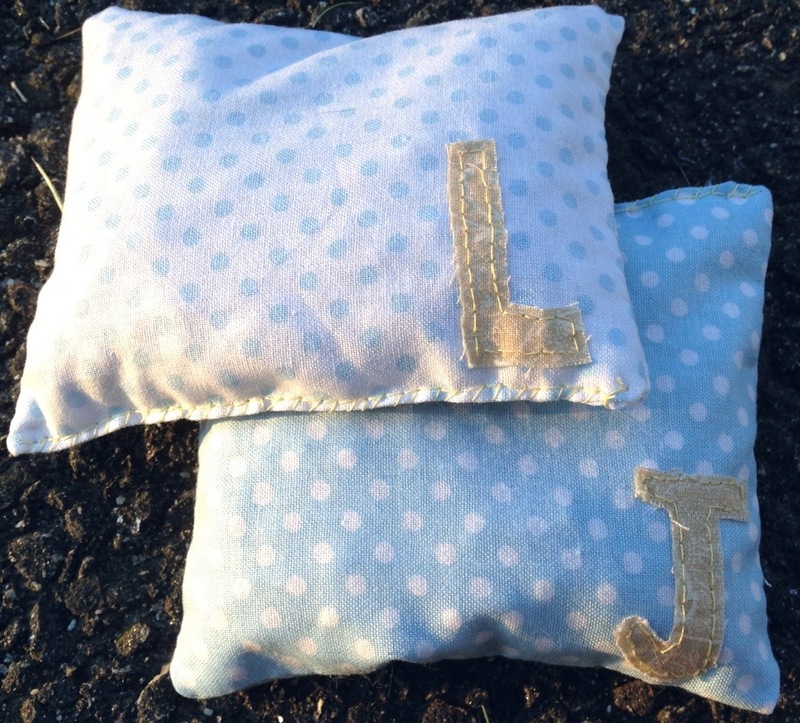 Turn the fabric so the brightest side of each piece is facing inside. 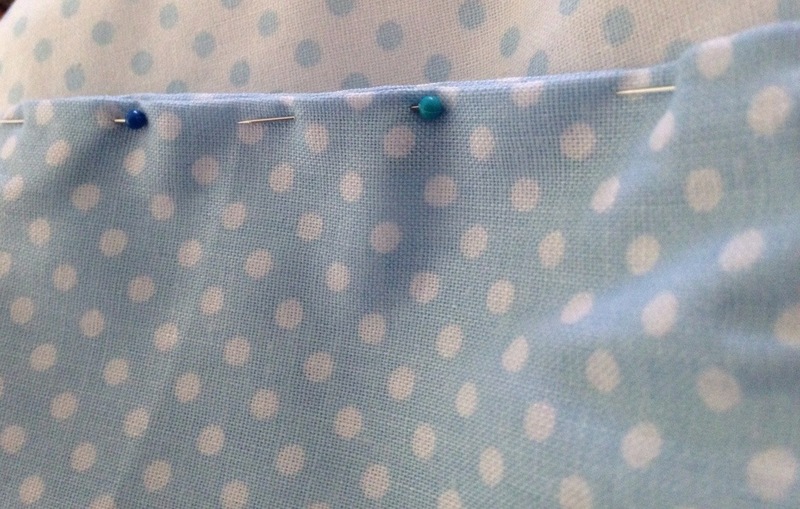 Use your back stitch to stitch all around your squares. 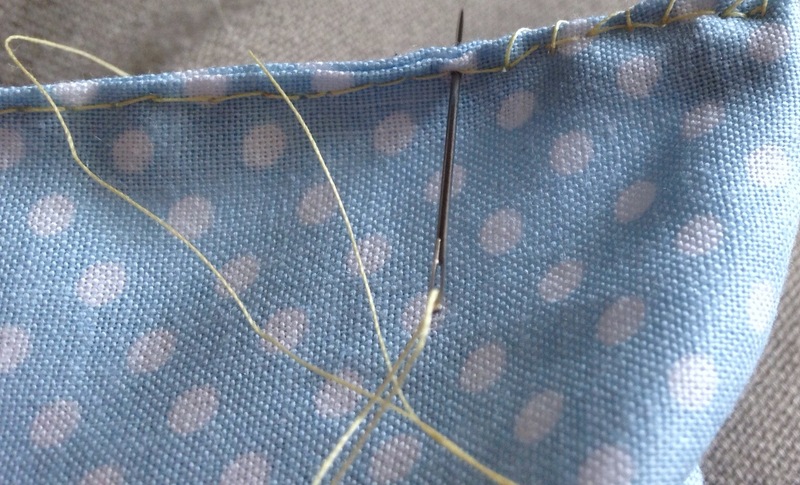 It’s best to go about 2 or 3 centimeters in when you stitch, don’t do it right at the edge. 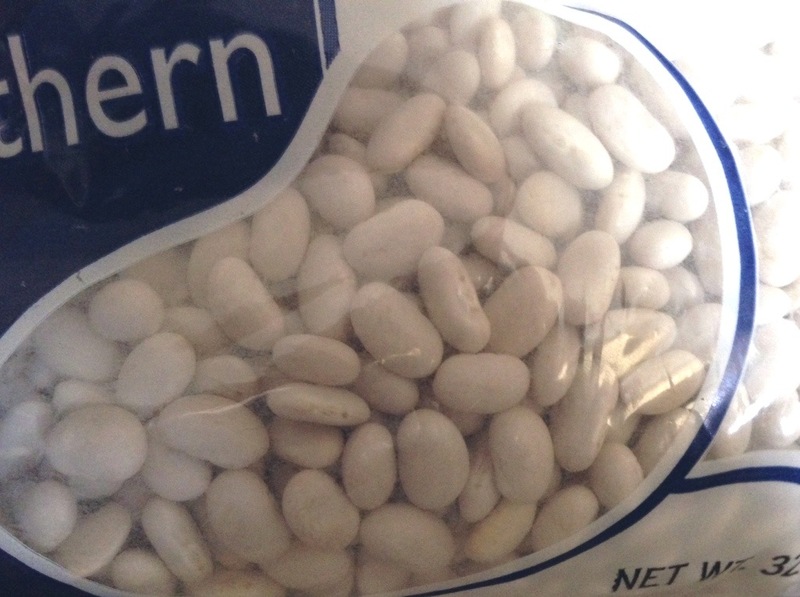 Don’t forget to leave one side (preferably the larger side) open to put in your beans! After all eight bags are sewed, turn them right-side-out. Now it’s time for the fun part! Fill each bag with beans about 3/4 of the way. Leaving some space allows for a nice flexible bean bag. 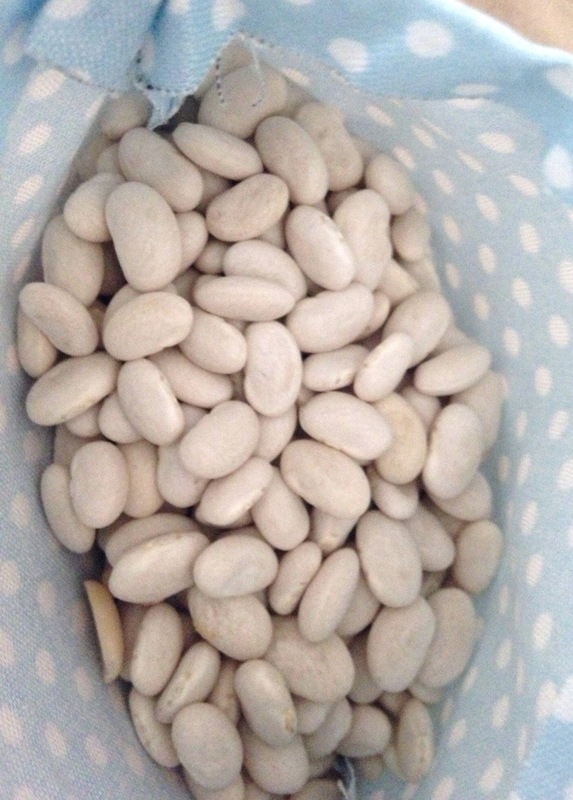 Once your beans are added fold down your fabric on the opening 2-3 cm down and pin along the opening to hold it in place. 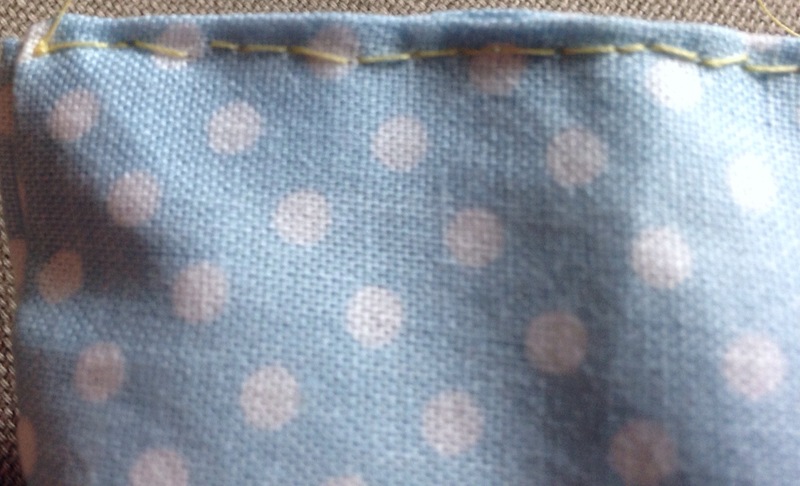 Use the back stitch along the opening to close it. But, to add extra insurance that your bean bag stays closed, stitch over the top of your opening too. Once it’s closed, you are all done! Now you have the boards and the bags! You are all ready to play! Set your boards up about 25 feet apart. You can play as a team of two or just as singles. Toss your bean bag standing next to your board, but make sure your foot doesn’t pass in front of your board or you foul! You must toss all the bean bags before scoring! Bean Bags that land in the hole are worth 3 points. They can go right in, slide in, or get knocked in, for the point. 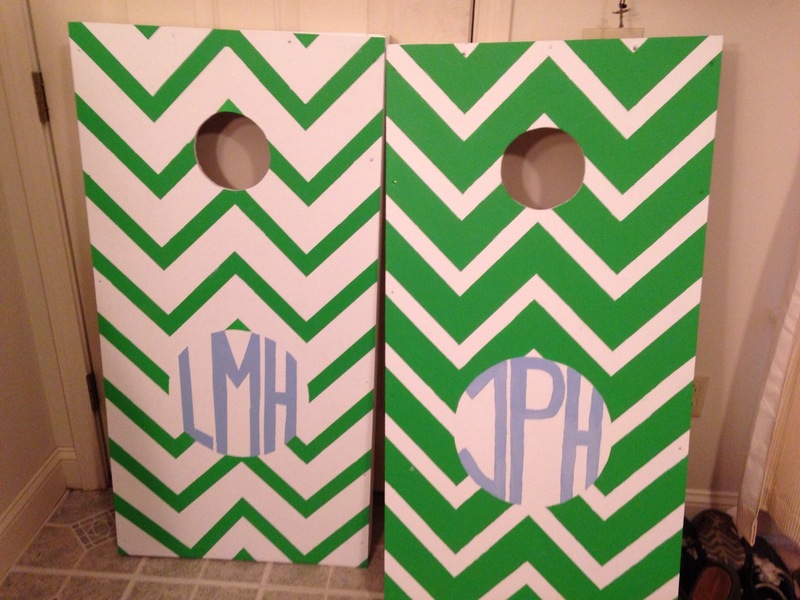 Bean Bags that end up on the board and stay there at the end of the round, are worth 2 points. If at any time the Bean Bag touches the ground (except when it lands in the hole) the points are not counted.